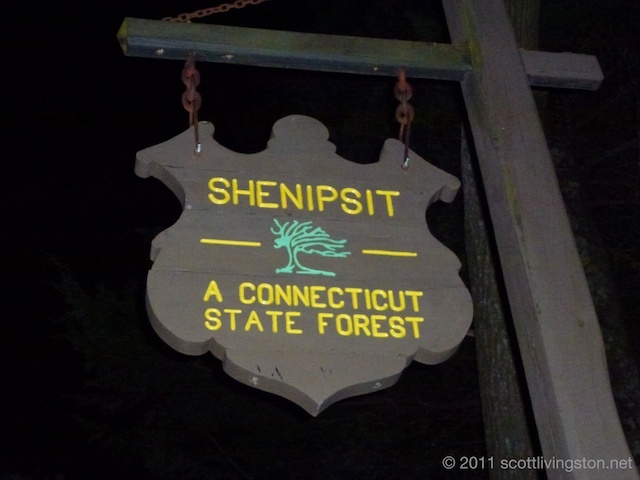 Yesterday, the Shenipsit Striders continued their post-Thanksgiving tradition of running the Shenipsit Trail its entire 46+ mile length from Cobalt to Somers, Connecticut. First off, this is a fun challenge, but it is also our way of paying homage to the trail that gives our club its name and history. 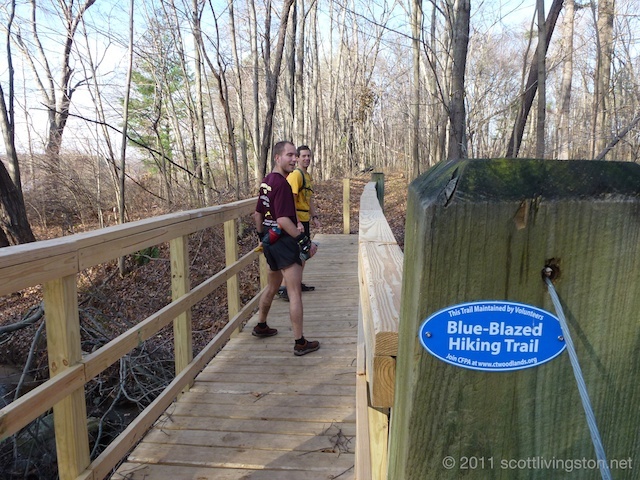 It is also a celebration of this great track and the entire Blue-Blazed Hiking Trail System. Last year, a group of us ran it as a relay. 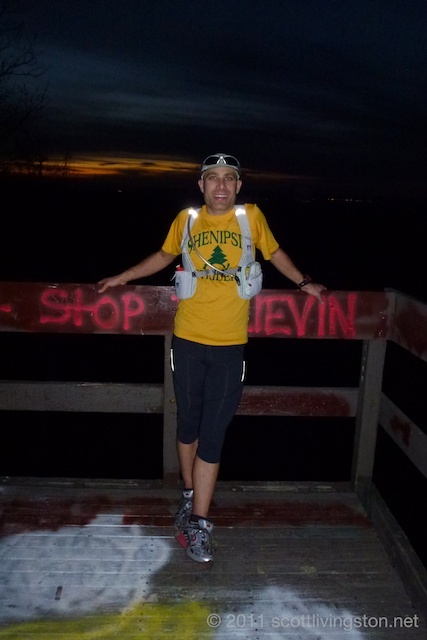 This year, we had several relay runners, and one brave soul, David Merkt, who ran the whole darn thing. Debbie ran the first half with fellow Shenipsit Striders: Clint Morse, Dave Almand, Dominic Wilson, Ron Starrett, Alison Cleary, David Sutherland, and David Merkt. 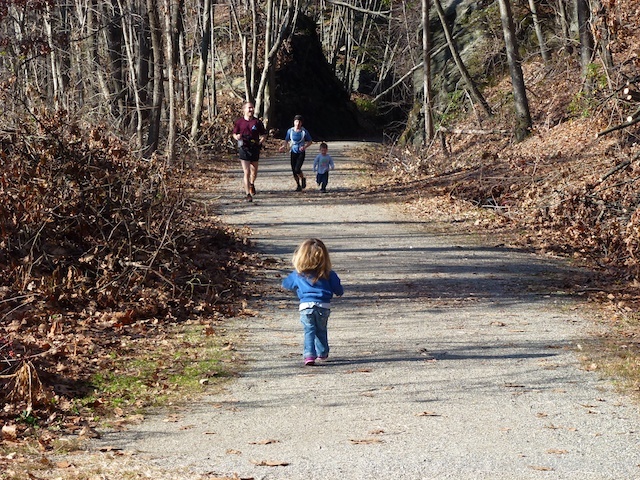 I ran the kids down the rail trail to the Notch parking lot at noon so that I could do the second half. I was joined by Tony Bonanno, and of course, Dave. We had incredible weather. It was shorts and shortsleeves weather, which is wild for late November. The sunshine was brilliant, the sunset was fantastic. Even the darkness was beautiful. Our group kept a good pace until we reached Ellington, when we slowed considerably. However, we kept plugging along. We had great conversations and enjoyed every minute on the trail. 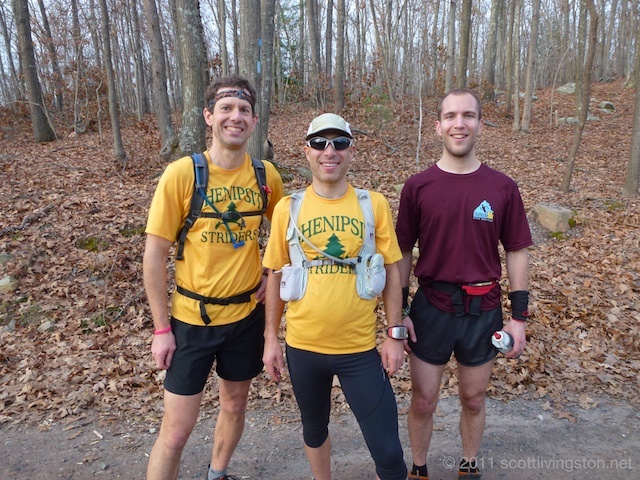 We even came across another group of Shenipsit Striders doing trail maintenance. Thank you Stuart King, Norm Cormier, and Bill Metzger. That’s what it is about! The trail was in decent shape. We thought it would be worse. There has been a lot of cleanup since the late October snowstorm that damaged so many trees. There was still blow-down and branches in many sections, but overall, it was OK. The mud wasn’t too bad. I heard it was worse in the first half. The trail was well-marked, especially in the northernmost sections, where we needed it most. We were unprepared for the final section of trail which seemed to go on forever. There was a lot of climbing at the end. It was a great day in the woods. Scott, what is normal pace for the group? 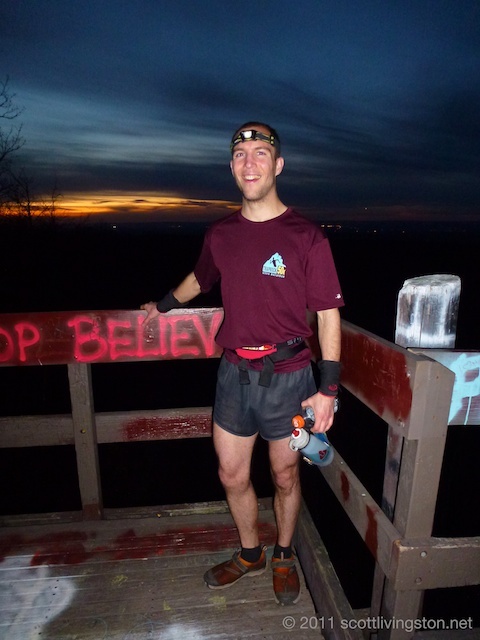 As my runs have gotten longer and longer I’ve been wondering of joining a running group. I do most of my running solo but figured I’d ask since you all have so much fun.